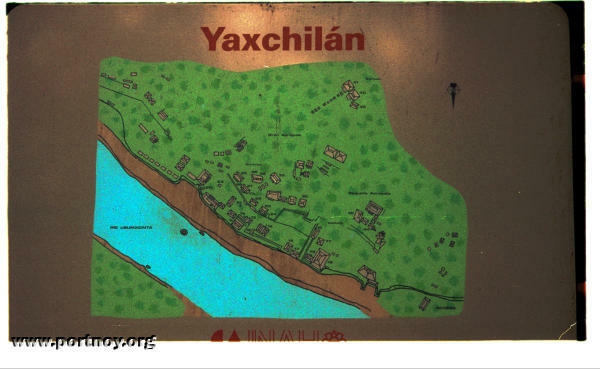 Yaxchilán sits on the Usumacinta river, the border between Mexico and Guatemala, and can be reached only by this route. It is a smaller city, though influential in the region to the North-west of Tikal. The buildings are perched on the hill overlooking the river, and some are still buried in hills. Unlike some of the major Maya sites, this location was lost to time and buried by jungle. Only when the river shifted course and exposed some of the stone walls was the city rediscovered. The architecture seen here is unique, particularly the honeycombed tops on the temples and the carved lintels.